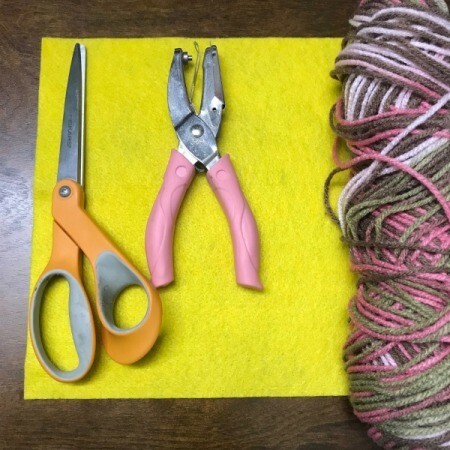 You can apply this same concept to making gift bags or party favors to fill with candies or small gifts. 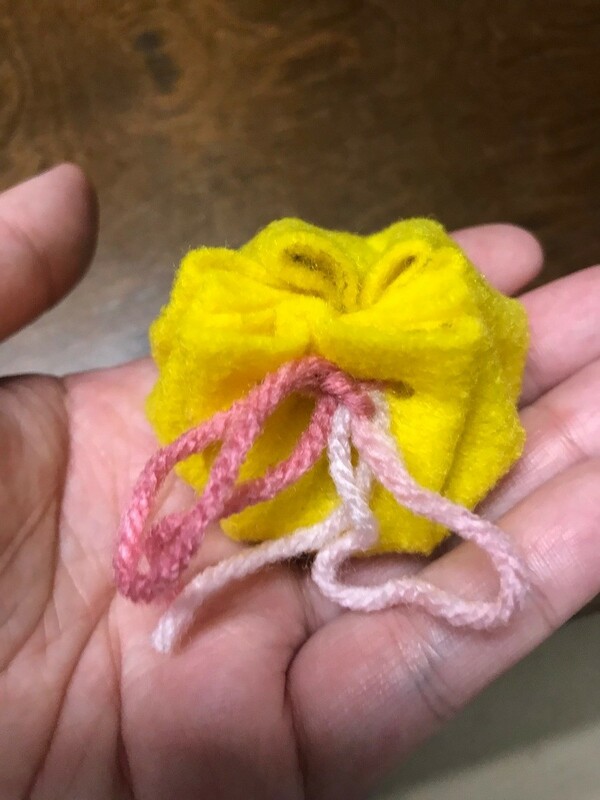 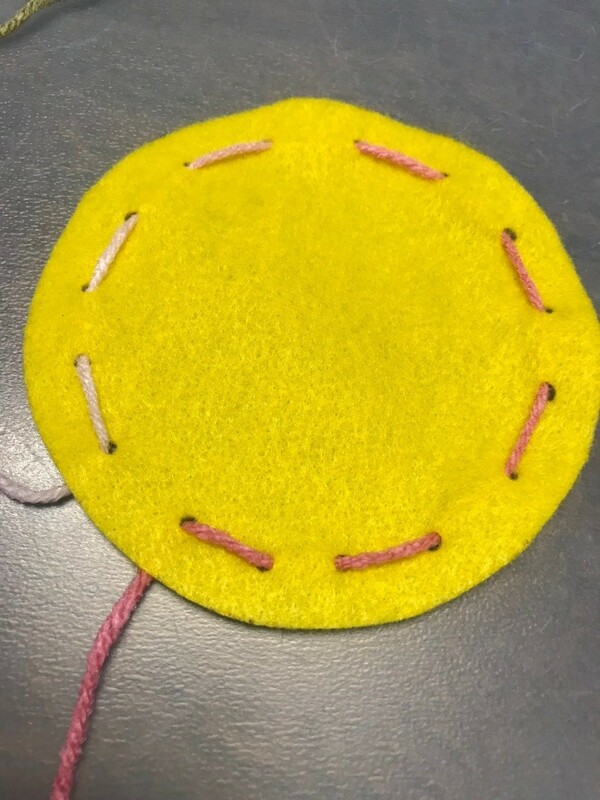 I am going to have to make a new one with a larger circle, but I do like how nice it turned out and how easy it was to make. 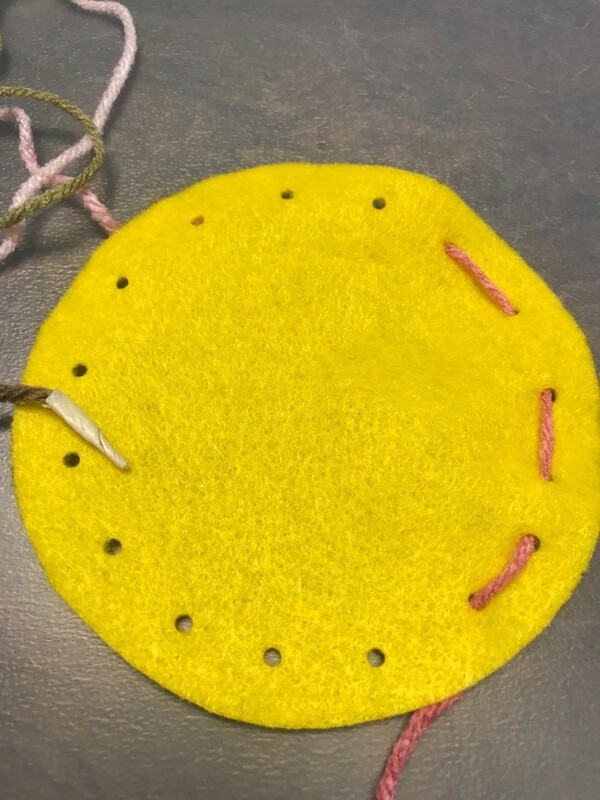 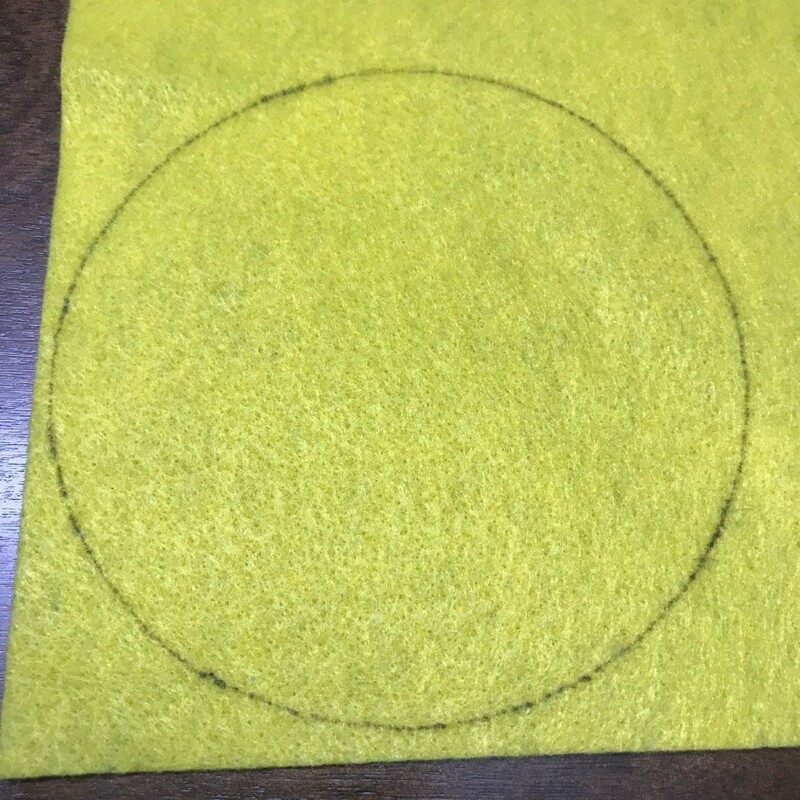 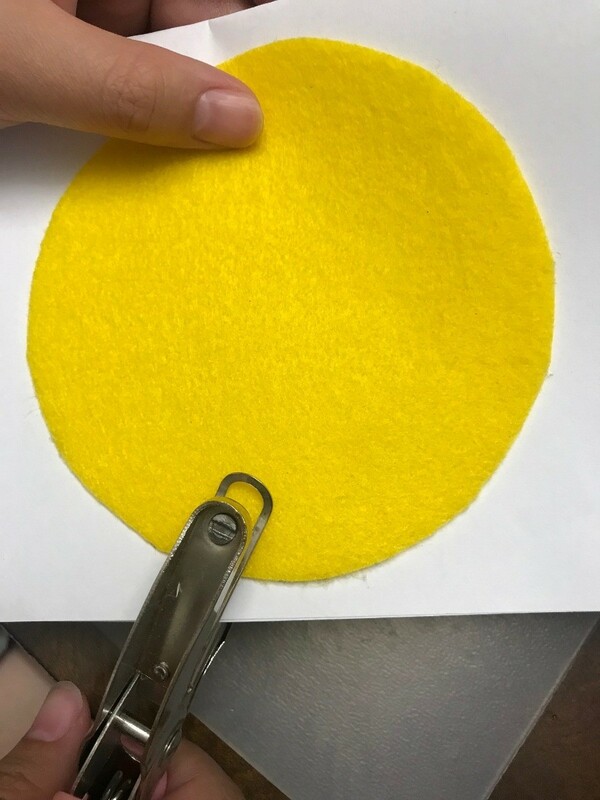 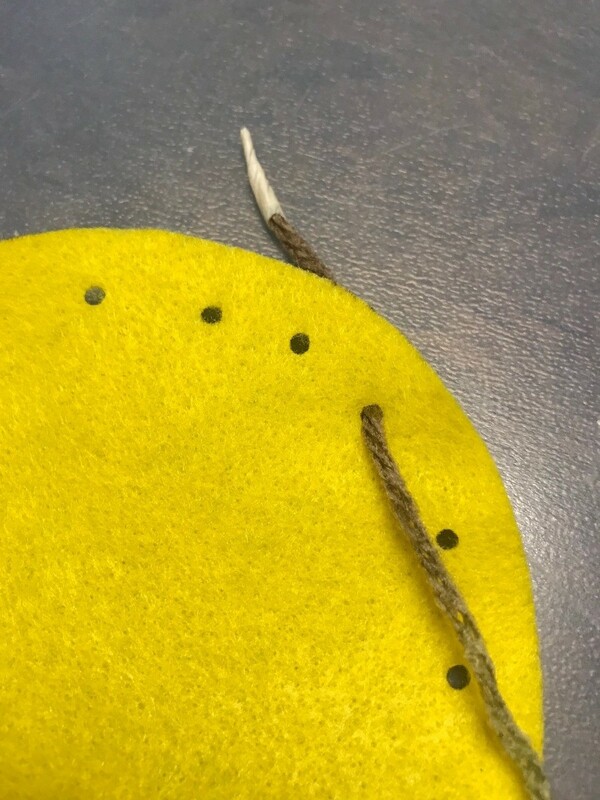 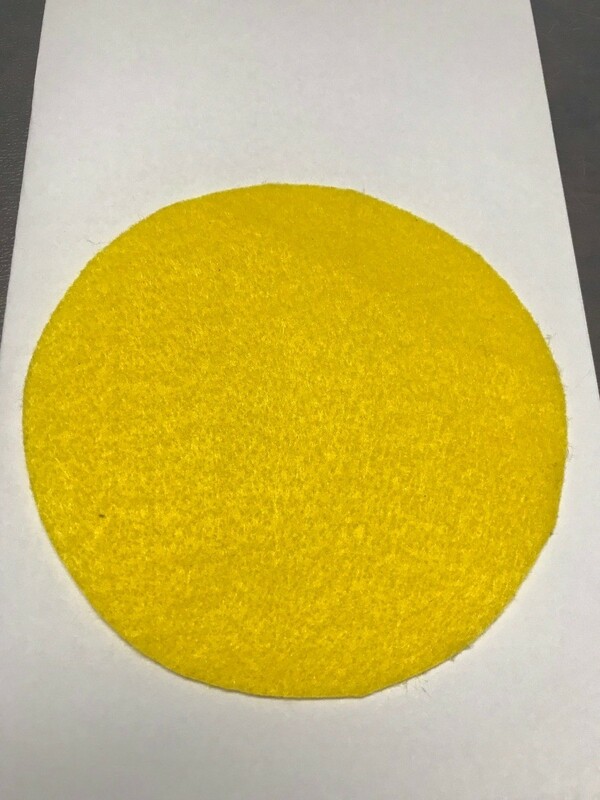 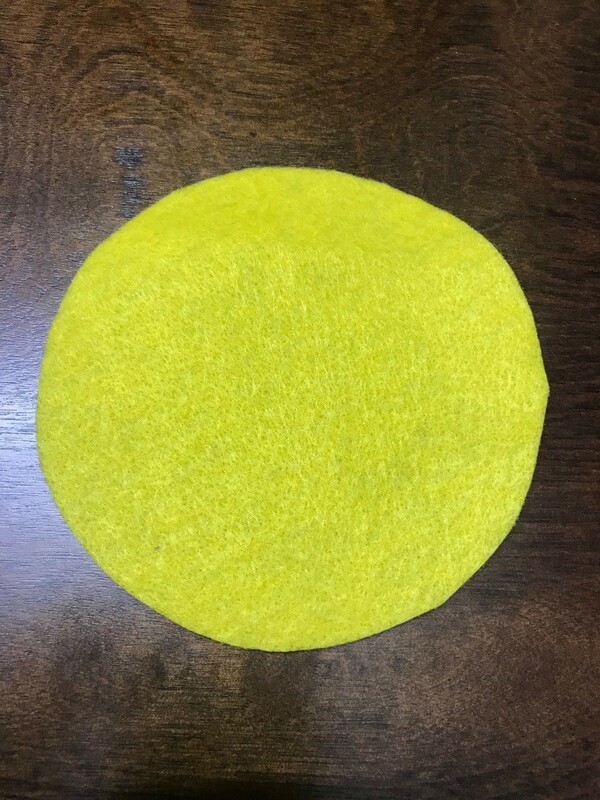 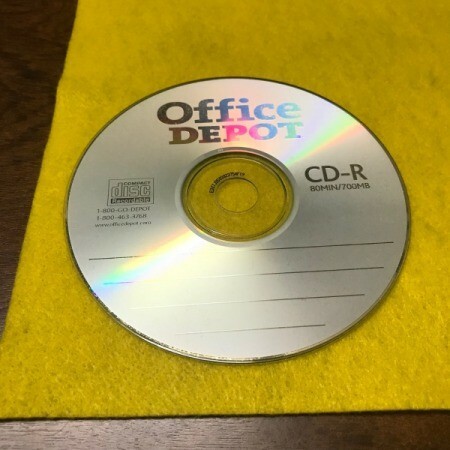 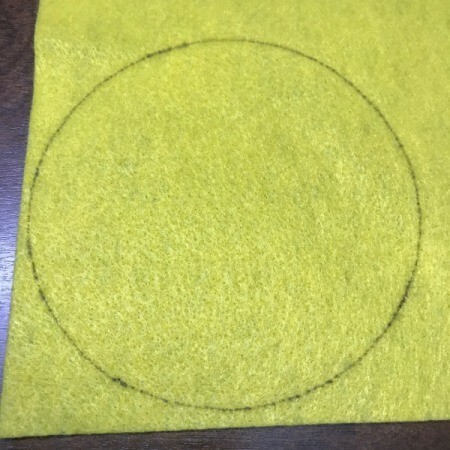 Trace a circular object on the felt and cut it out. 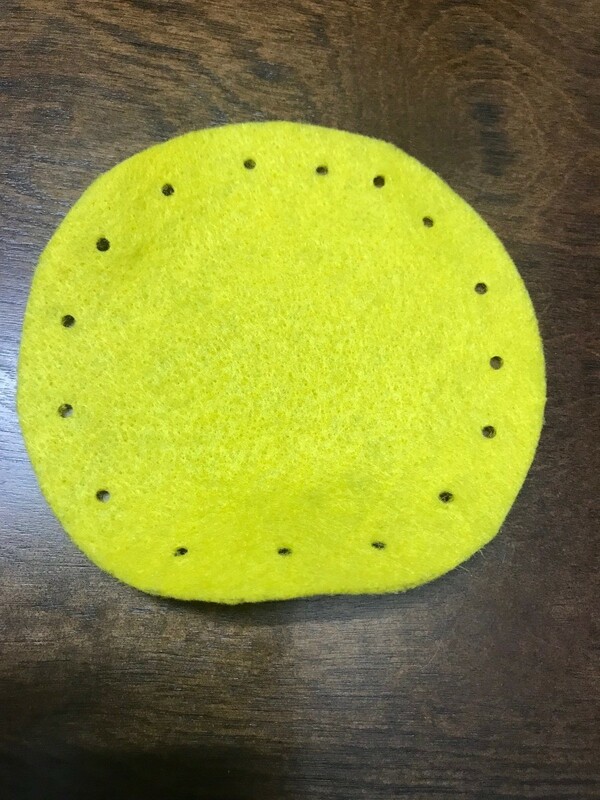 Weave yarn in the holes. Tip: If your yarn is too big, you can tape the end of the yarn to make it easier to insert in the holes. Ready to use your pouch! 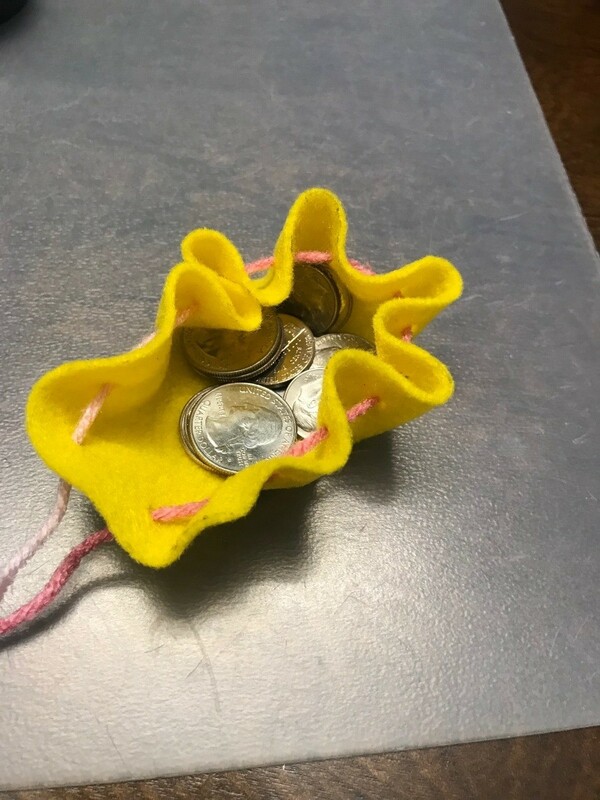 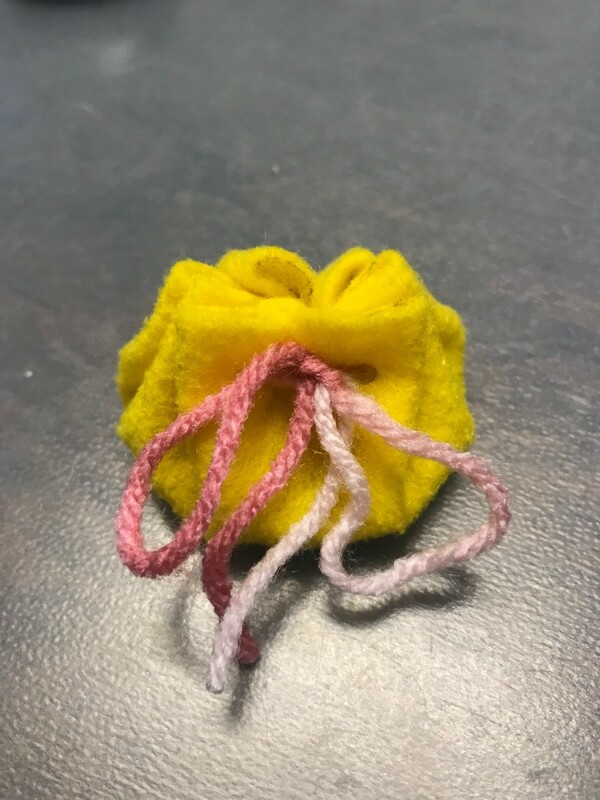 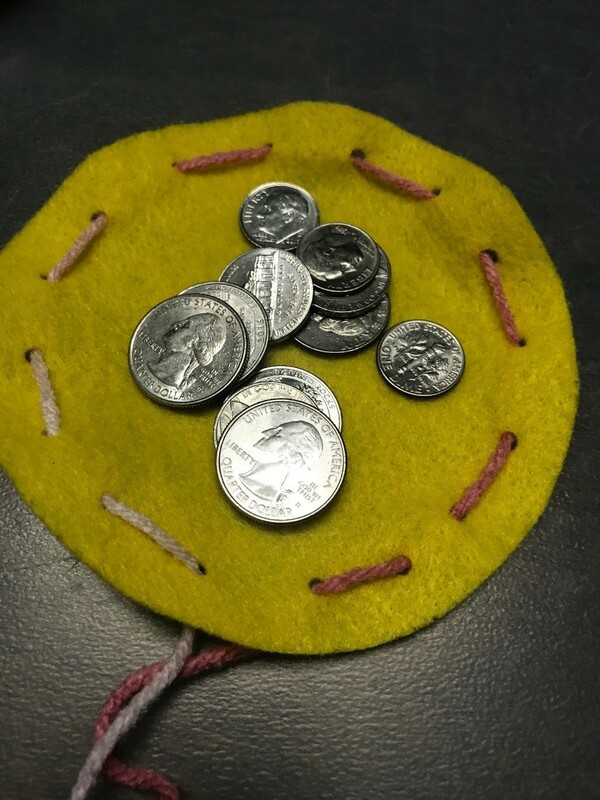 You can place coins in the center then tie it up!